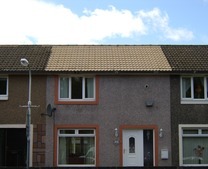 Our Biowash™ non-pressure roof cleaning process can quickly clean your roof and improve your home’s kerb appeal. The Biowash™ roof cleaning process can be carried out from ground or gutter level. 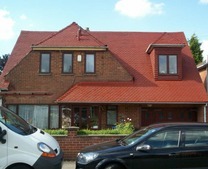 This means a roof can be cleaned without any possibility of damage to roof tiles. Our Biowash™ roof cleaning contractors are certified and experienced at washing away algae and dirt from roofs without having to stand on your roof tiles. The Biowash™ non-pressure roof cleaning method utilises professional equipment and cleaning products to safely, yet effectively remove years of grime from your roof. What is Biowash™ Roof Cleaning? Non-pressure roof cleaning is becoming very popular as many homeowners have concerns about having someone climbing up on their roof to clean it. 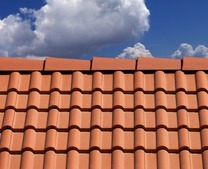 This stops many people from enquiring about roof cleaning as they think their roof tiles could get damaged in the process. 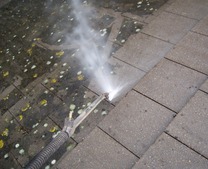 The good news is the non-pressure roof cleaning process will be carried out without the use of a pressure washer. That is not to say that a pressure washer doesn’t have its place in the exterior cleaning service, it does and in some cases will be needed. 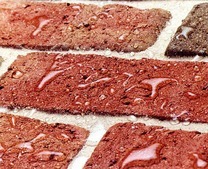 However, in most cases, the Biowash™ roof cleaning method will be suitable for use on the majority of roof tiles. 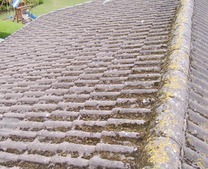 We provide a professional non-pressure roof cleaning and moss removal service throughout the UK. 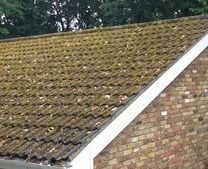 Moss, dirt, algae and lichens on roof tiles are a nationwide problem. Not only are these organisms unsightly they are also destructive as the can break down roofing materials. 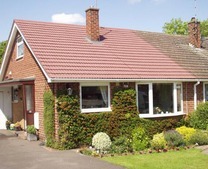 In the winter months, the freeze-thaw process can cause damage and premature degradation to roof tiles which could cost a large amount of money in repairs. Moss, algae and lichens are on a roof due to the warm and moist environment a roof creates, mainly north and west facing roofs. 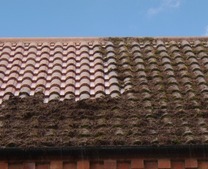 However, help is at hand with our roof cleaning and moss removal service by our Biowash™ Authorised Agents. If you are looking for your roof to be cleaned and the moss removed, then our Biowash™ non-pressure cleaning technology is the ideal solution. It will clean the roof and extend its lifespan, what’s more, it increases the aesthetic appeal of your home. Our Biowash™ technicians are certified and experienced and offer a safe and effective roof cleaning and moss removal service throughout the UK. The Biowash™ method utilises professional equipment to effectively remove years of dirt and grime along with moss, lichens and algae. Many people with this problem think that they need a new roof, but this is not always necessary. When carried out by professionals, roof cleaning can restore the roof and save you a lot of money. The cost of a new roof can be 10 times that cost of roof cleaning, so it makes perfect sense to have your roof cleaned rather than a replacement. First, we treat your entire roof with our Biowash™ Surface Cleaner. 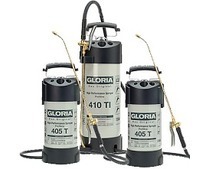 This kills all the mould and algae and breaks down contaminants such as dirt, pollen, dust, spider webs, and virtually everything else that isn’t supposed to be there. We then wait a short while to allow this to work, we then do a gentle rinse to flush all the loose contaminates off your roof. Our Surface Cleaner gets into the nook and crannies, it kills the mould and algae on the microscopic level and removes spores that cannot be seen. After the cleaning process, our Surface Protector is applied, this prevents re-growth. Smartseal is suppliers of quality Biowash™ roof cleaning products and equipment. We work with a database of Professional Biowash™ Roof Cleaners across the UK who offer a full range of roof cleaning and after treatment services. Our Biowash™ Authorized Agents will provide FREE roof cleaning quotes across the whole of the UK. If you would like to know the cost of roof cleaning and how long it will take, please get in touch by requesting a quote below. 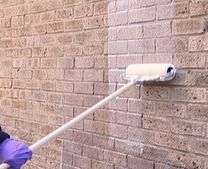 For a FREE quotation or information please call 0800 849 9498 or contact us online.